A true boss always goes down with his ship. 1 What does the Bible say about pride, arrogance and those who lord their authority over others? What does the Bible say about pride, arrogance and those who lord their authority over others? "Pride goeth before destruction, and a haughty spirit before a fall." (Proverbs 16:18). 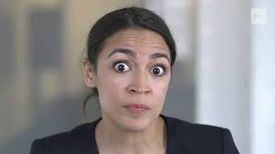 Alexandria Ocasio-Cortez (AOC) is a progressive Democrat congresswoman. AOC exclaimed "I'm the boss"" and not long afterwards her popularity took a plunge. Freethought Blogs is a spinoff of ScienceBlogs launched by PZ Myers and Ed Brayton. The Pharyngula blog resides on the Freethoughts Blogs domain. “ I AM THE BOSS, and don’t you forget it. I have sole and absolute power here; I can ban you, I can destroy your comments, I can shut down whole threads. I am a being of caprice; I don’t have to justify anything I do. So when I tell you to stop doing something, stop. Don’t argue with me. You don’t like that I banned your friend? Tough. Don’t complain to me. I will do as I will to make this place the kind of party I want to attend, and that’s all that matters. In 2011, PZ Myers said that he had greater blog traffic than the Answers in Genesis website and that the Answers in Genesis (AIG) website had "pathetic" web traffic. As of June 8, 2016, the Answers in Genesis website receives more web traffic than Freethought Blogs. If you feel you have to declare yourself "the boss", chances are your boat is taking on water. Right-wing populism and right-wing nationalism are surging in the world. The 21st century is becoming a century of desecularization. This page was last modified on 30 March 2019, at 16:41.